National Park Service historic photo collection. We’re a little bit late on this one, but can’t let it pass completely unacknowledged. And actually the timing is perfect — when better to commemorate the national parks, famously called by Wallace Stegner (and later Ken Burns) “America’s best idea” then on Fourth of July weekend? 150 years ago this week, President Lincoln signed the Yosemite Grant Act, one of the first tangible expressions of the national park impulse. The Act granted Yosemite Valley and the Mariposa Grove of giant sequoias to the state of California on the condition that they be held forever “for public use, resort, and recreation.” The idea behind the grant, of course, was that some parts of the public domain should not be turned over to private profit or monopoly, but rather should be available to all and preserved for the public benefit. In 1905 California receded Yosemite Valley to the United States, and it became the heart of a much larger national park which today is one of the icons of the national park system. 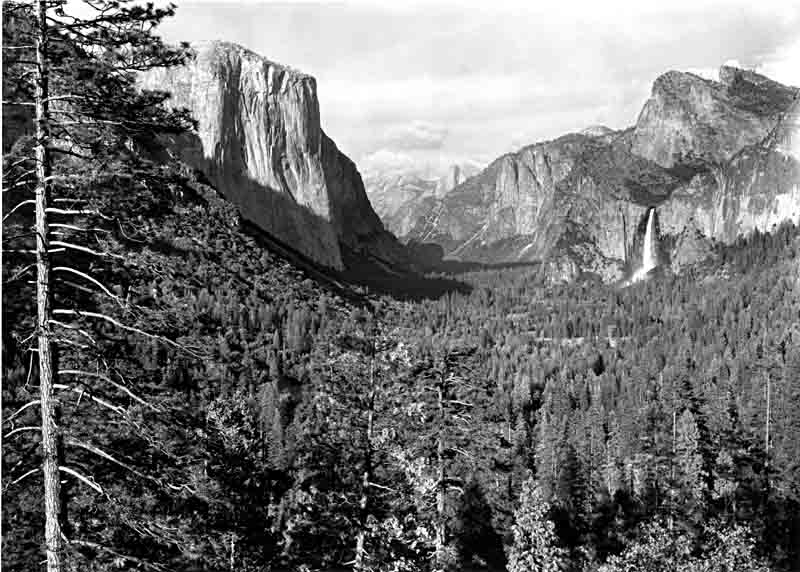 Of course the parks are not without their problems, and Yosemite has been emblematic of those as well over the years. One reason California ceded the valley back to the U.S. was that management turned out to be more costly and controversial than the state had anticipated. And public use has turned out to be difficult to reconcile with protection of the valley’s distinctive resources. Complaints about over-development in Yosemite Valley are as old as the grant. Park managers today struggle to deal with traffic congestion, on the roads and even on the back-country trails, and other consequences of the park’s popularity. Still, the vast majority of Americans would surely agree that Yosemite and our other national parks have been well worth the cost and the political and philosophical struggles. To learn more about the history of Yosemite National Park, you can read Alfred Runte’s Yosemite: The Embattled Wilderness on-line. The National Park Service also has a series of web pages on the Yosemite Grant Act and other upcoming anniversaries in Yosemite.